Kollywood biggies gathered for the star-studded event in their best stylish appearance. The awards night was hosted by Divyadharshini and Gobinath. 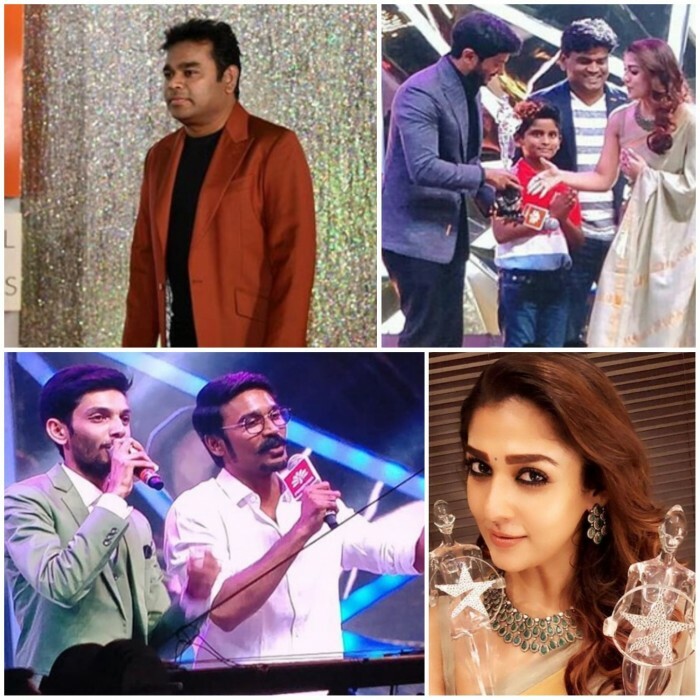 The 10th edition of Vijay Awards 2018 took place yesterday and the event witnessed Kollywood stars under one roof in Chennai. Kollywood biggies gathered for the star-studded event in their best stylish appearance. The awards night was hosted by Divyadharshini and Gobinath. The event highlighted power-packed performances and much more. However, something that grabbed the limelight Dhanush and composer Anirudh Ravichander’s stage performances. Besides, the celebrities were also honoured for their performances in different categories. Actress Nayanthara won the best actress award for Gopi Nainar’s Aramm while Vijay Sethupathi won best actor award for Vikram Vedha. AR Rahman bagged best music director award for Kaatru Veliyidai and Vijay starrer Mersal won best film award.